I am a huge believer in taking care of my skin, even though I am young, its never too early to give it some TLC! That's exactly what I get from using this Dr Song Vitamin C Serum. I cannot comment about what it does for wrinkles, age spots, etc since I don't have those. I am using this as a bit of a supplement for my skin. I use this about 3-4 times a week before bed on a freshly cleansed face. A small amount goes a long way. I dot it in 5 places on my face (forehead, nose, chin, and both cheeks. I gently give myself a face massage, using the serum as my slip, and working it into my skin. I have somewhat sensitive skin, and I have never had any issues with this at all. Personally I haven't noticed any life changing results while using this, except that my skin just seems to be more radiant and glowing. It has that healthy youthful appearance. I am happy with it thus far! 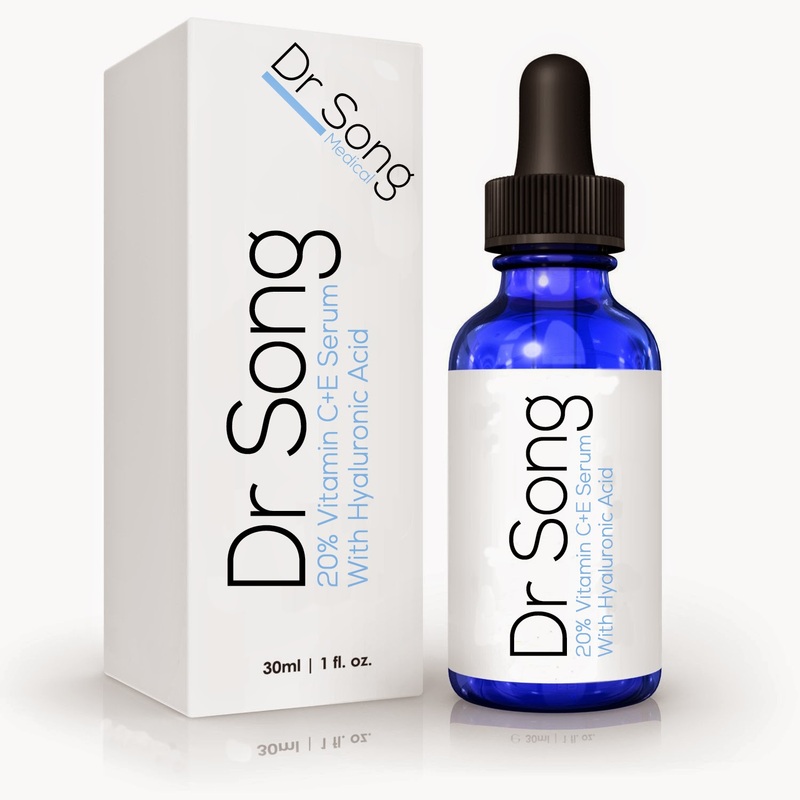 Dr. Song Vitamin C Serum contains 20% vitamin c, also with vitamin e, hyaluronic acid, and aloe vera.